Acid reflux or GERD (gastro-espohageal-reflux disease) is the most common digestive complaint heard in the medical industry today! The pharmaceutical and clinical treatment for this digestive ailment is the use of PPI’s (proton pump inhibitors) or H2 blockers. The most commonly used prescriptions are Nexium, Prilosec, Zantac, Cimetidine, Aciphex, Protonix and Pepcid. It is estimated that there are close to 100 million Americans taking these prescription drugs to address their acid reflux or GERD. In fact, this classification of drugs are ranked #1 for the most prescribed medication in the world. Poor gut health has truly become a global pandemic and our health and human survival runs the risk of becoming progressively worse over time as this phenomena grows in number each year. Is it too little or too much stomach acid? The majority opinion in the medical industry regarding the cause of acid reflux or GERD is too much stomach acid. However, current research is showing that too much stomach acid is not the problem. In fact, a prominent Japanese gastroenterologist Dr. Hiromi Shinya says that there is no such thing as too much stomach acid. The primary cause of acid reflux or GERD has everything to do poor digestion of our foods. When you take acid reducing medications that reduce stomach acid secretion, its direct effect on the digestive system reduces digestive enzyme activity, in turn, it reduces your ability to digest your foods. Lifestyle related habits like overeating, over drinking, smoking, drinking too much coffee or acidic drinks, dairy, eating too much cooked and processed foods, medications, etc., all increase your risk of having acid reflux or GERD. As a result, when you go to your doctor the dominant means to address your symptoms is to take PPI’s or H2 blockers. So if poor digestion is the primary cause of acid reflux or GERD which now has nothing to do with too much stomach acid, then what happens to your digestive system when you take acid reducing medicine? These powerful drugs begin to slowly breakdown the “villi” (hairlike follicles) that line your digestive system. The primary function of your intestinal villi is to secrete stomach acid and help with absorbing the foods that you eat. 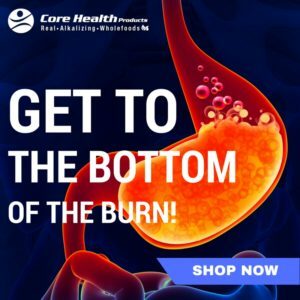 As your villi become shorter and shorter over time taking these drugs, your gut lining begins to atrophy and leads to what is called, “atrophic gastritis.” Basically what this condition means is that the mucosal lining that protects your intestines becomes thinner and thinner and causes major inflammation in your gut wall. The effects of these drugs also destroy your good gut bacteria in the small intestines. This abnormal gut bacterial imbalance will lead to abnormal fermentation as well in the intestinal tract and cause a condition called, “small intestine bacterial overgrowth.” There is a mixture of good and bad bacteria in your intestines but these drugs cause your gut to become unbalanced and the bad bacteria begins to take over the good bacteria affecting your intestinal ecosystem. The net result is a weaker immune system since your gut bacteria is the first line of defense against foreign invaders that enter your body through foods, drinks or environmental factors. 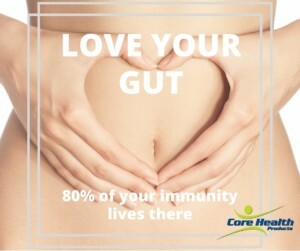 Remember that 80% of your immune system is found in your gut. As you can see, taking these medications destroys your intestinal tract by weakening your gut lining, causing gut bacterial imbalances (aka “dysbiosis”) and destroying your immune system. “Before I started Digestive Health, there were foods I simply could not enjoy. Onions, garlic, steak-all impossible to digest, usually resulting in sleepless nights, intense heart burn followed by countless Tums. Now with Digestive Health, I can enjoy them with ease and NO Heart Burn! Highly recommend!” – Chuck B. Once the lining of your gut gets weaker and thinner, your tissues that make up your intestines have the potential to become acidic and cause ulcers in your esophagus, stomach, small and large intestines. Even though your intestinal tract has different pH ranges, the important thing to remember here is the pH of the tissues that make up your digestive system. The protective lining becomes destroyed and causes your tissues to become acidic and begins to atrophy leading to a plethora of inflammatory conditions like gastritis, diverticulitis, IBS, Crohn’s disease, colitis, and many other intestinal disorders. These disorders are stage 2 disease of the digestive system. Stage 1 is acid reflux and/or GERD and heartburn but long term use of acid reducing medications will cause stage 2 diseases. These ulcer type conditions can lead to cancers of the digestive system as well as the tissues become more acidic and ulcerated. Another potential health hazard is re-occurring bacterial and viral infections in your intestinal tract. Like mentioned earlier, as your gut bacteria becomes unbalanced (dysbiosis) with these drugs, it limits the ability to destroy any foreign invaders that enter your digestive system. Dangerous pathogens like bacteria and viruses do not get eaten/metabolized by your stomach acid and good bacteria in the small intestines, therefore, causing you to become sick. For example, you have a higher risk of contracting the H. pylori virus or a C. Diff. bacterial infection that is antibiotic resistant and can become fatal. The overuse of antibiotics only worsen the potential of contracting these viral and bacterial conditions, so reducing antibiotic use to extreme cases when you are ill is an important thing to remember. Try not to use antibiotics unless it is absolutely necessary. Dysbiosis can also give you chronic yeast infections and create a condition called “candida” in your gut. Candida is a disease from poor gut bacterial balance and is caused by yeast and fungal overgrowth in your intestines. Taking acid reducing medications, along with antibiotics gives you the greatest chance of being diagnosed with these diseases. Candida has many health effects like chronic fatigue, muscle aches, joint pains, mental fog, abdominal bloating, weight gain (caused by fluid retention), gas, diarrhea, etc. Taking acid reducing medications can lead to autoimmune diseases as well. As the immune system is weakened and you digest food less efficiently, large food particles enter the bloodstream and trigger your white blood cells to increase in number to metabolize these foreign invaders in your bloodstream. Chronic immune stimulation from poorly digesting your foods over time can be one of the causes that lead to a plethora of autoimmune disorders. The breakdown of your digestive system on these drugs also cause you to absorb nutrients less efficiently, moreover, this creates nutrient deficiencies. The most common deficiencies are vitamin B6, B12, iron, calcium, folic acid and vitamin D. You may already know this but vitamin and mineral deficiencies that start from poor gut health lead to conditions like osteoporosis, bone fractures, anemia, low energy, muscle weakness, and more. Believe it or not taking acid reducing medications decrease sperm count in men and lead to erectile dysfunction. You are beginning to see more young men in their 20’s have sexual function disorders and some cases may be connected to taking PPI’s and H2 blockers. Low libido is another side effect of these medicines. These have psychological ramifications in men like depression and loss of drive that can effect their intimate relationships with their significant other. The inflammatory response of these drugs also effects your brain health. When your foods are poorly digested because of these drugs destroying your gut health, the large food particles enter your bloodstream and cause overall inflammation in the body effecting the brain by breaking the blood-brain barrier. The condition of the gut these medicines cause over time is called, “leaky gut syndrome,” and the condition of the brain is what some scientists are calling, “leaky brain syndrome.” Once these inflammatory food particles and inflammatory immune cells pass the blood-brain barrier it causes inflammation in the brain. You do not feel the inflammation in the brain since brain cells lack pain receptors but brain scans reveal brain inflammation by showing lower functioning of neural activity in the brain. In the long-term, this neurological atrophy in the brain leads to horrible brain disorders. What You Can Do To Build Your Gut Health? Good fats, especially omega 3 fatty acids like Core EFAs and add raw nuts, seeds, organic cold pressed flax oil, chia seeds, coconut oil and avocados to your diet. 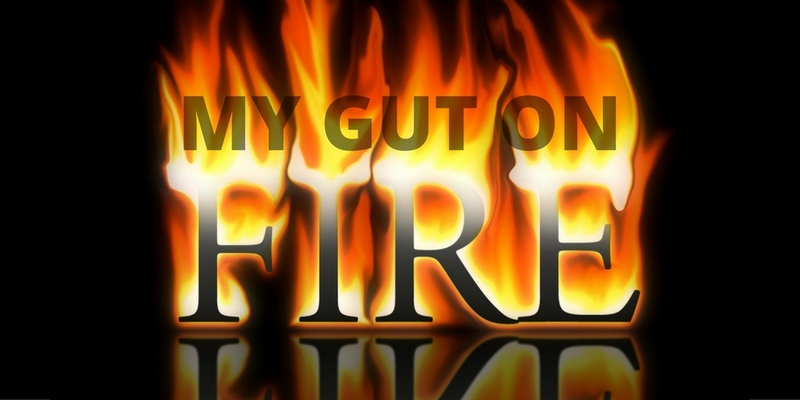 Rebuild your gut and you’ll address the root causes of your acid reflux! Hyman, Mark, MD. Eat Fat, Get Thin. New York, N.Y. Little Brown and Company. 2016. Pedre, Vincent, M.D. Happy Gut. New York, N.Y. Harper Collins Publishing. 2015. Perlmutter, David, MD. The Brain Maker: The Power of Gut Microbes to Heal and Protect Your Brain-For LIfe. New York, NY. Little Brown and Company. 2015. Shinya, Hiromi. The Enzyme Factor: How To Live Long and Never Be Sick. Council Oak Books. 2010.